Nine holes of golf, perfectly integrated into the beautiful local environment. 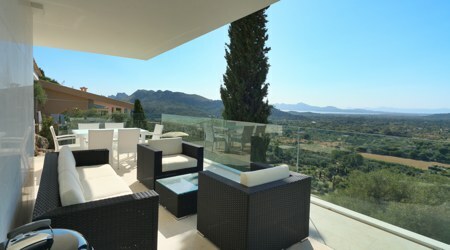 The course offers panoramic views over the Tramuntana mountains, olive groves, the bays of Pollensa and Alcudia and s’Albufereta reserve. By the end of the first round, the visitor will surely agree that challenge, variety, and harmony with nature are focal points around which the club’s success is built. Golf Pollensa was opened in 1986 and underwent a complete renovation programme in the year 2000 to bring it to the excellent standard it boasts today. The greens are maintained in perfect condition and there are two lakes and much indigenous vegetation, above all olive and pine trees. Underlining our commitment to the environment, the golf course is irrigated using purified water. 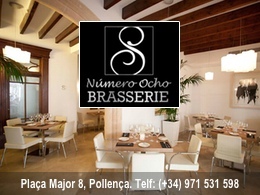 They offer a host of additional activities and amenities at Golf Club Pollença, including a driving range with putting green and pitching area, a golf school with golf professional and special golf classes, club rental, trolleys and car rental, a golf shop and a superb bar and restaurant.